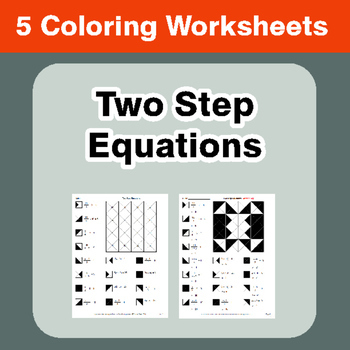 5 worksheets with answer keys. 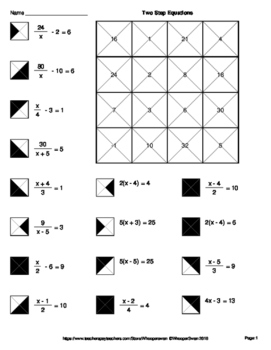 Each worksheet includes 16 unique problems. 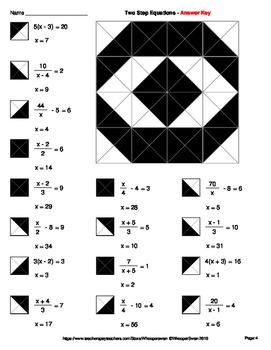 Students solve each problem, locate their answers on the grid, and color each section of the grid according to the design listed on their worksheet. 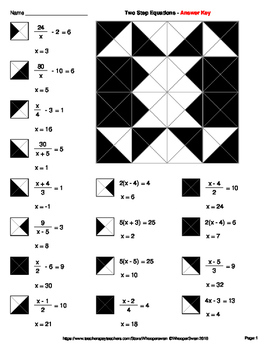 Please CLICK HERE to view other Math Coloring Worksheets!